Located in the Bir Ouna area of Beit Jala City, the Zreina family home sat nestled on a hillside overlooking the valley below. 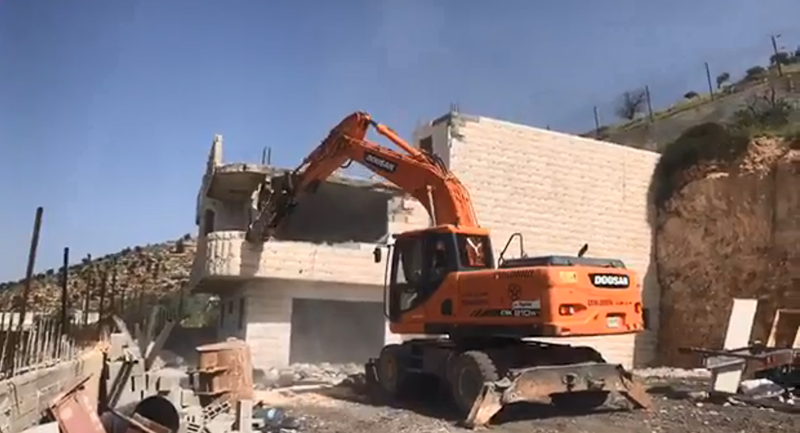 The family started work on the multi-generational home in May 2018, the Wafa news agency reports, fighting its way through the Israeli courts, which ordered them to halt construction and demolish the site shortly after they began. "I was planning to complete my apartment this year before I get married and raise a family in it," Saleh Zreina, 23, told Wafa. "But now the occupation has killed my dream." "I left school when I was 16 and joined the workforce to help my father and three brothers build this house," Saleh said. "Everything we made we put into this house, which we watched today crumble in front of our eyes and there was nothing we could do about it." According to Israeli authorities, the house had been built illegally, even though the family produced a land deed dating to the time the Ottoman Empire ruled the region, Wafa reported. The family had resettled in Bin Ouna after fleeing Jerusalem, to the north, during the 1948 war in which Israel occupied their homes, eventually buying the plot where their home stood until Tuesday's demolition order was carried out. Haj Walid Zreina told Palestine News Network (PNN) on March 7 that the courts handed him a notification saying he must demolish the house of his brother, Ayman Rizq Zreina, where Ayman's three sons Rizq, Muhammad and Saleh also lived, before April 10. However, Zreina refused to sign the self-demolition order, so Israeli forces seized his brother, Ayman, forcing him to pay 230,000 shekels ($63,575) bail, which would be forfeited if he didn't destroy the house, he told Maan News Network. They would also arrest his family. In the 1 hour and 20-minute video uploaded on Facebook by PNN Tuesday, family members can be seen throwing their valuables from a second story balcony as a large orange excavator sits just outside the house. After showing PNN the notification given to them by Israeli forces, the Zreinas mount the excavator, which is fitted with a jackhammer attachment, and begin their tragic task. Maan noted that Israeli bulldozers demolished another Palestinian home in the area last week under the same pretext, and that six houses belonging to the Zreina family in the Bir Ouna area have already been destroyed by Israeli authorities, suggesting a clear intent to target the family. Bin Ouna is classified as Area C, meaning it is under Israeli military control and not governed by the Palestinian Authority in Ramallah, Maan noted. Israeli authorities reject nearly all Palestinian building permit applications in Area C, forcing them to build illegally, as the Zreinas did. Israeli settlers, on the other hand, are often readily granted building permits. Roughly 60 percent of the West Bank is Area C, an area home to roughly 385,000 Israeli settlers and about 300,000 Palestinians, according to the UN Office for the Coordination of Humanitarian Affairs in occupied Palestinian territory. 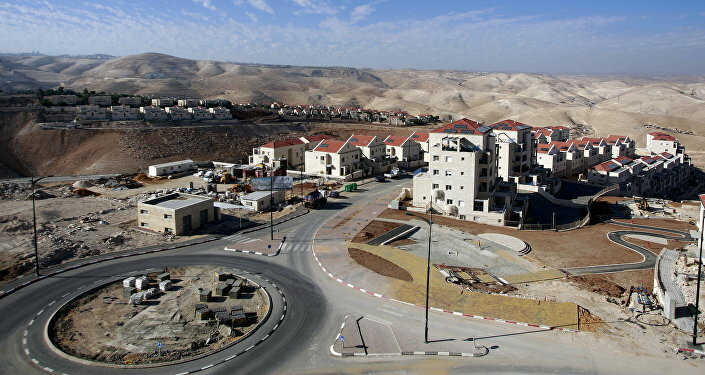 Created by the Oslo II Interim Agreement of 1995, Area C has been slammed by Palestinian rights groups as a tool of the Israeli state to depopulate most of the West Bank of Palestinians while enabling its settlement by Israelis. Wafa noted that Bin Ouna was once part of Beit Jala City, but Israeli authorities recently severed much of the city's land in order to incorporate those areas into greater Jerusalem — a task it accomplished by building several highways through Beit Jala. 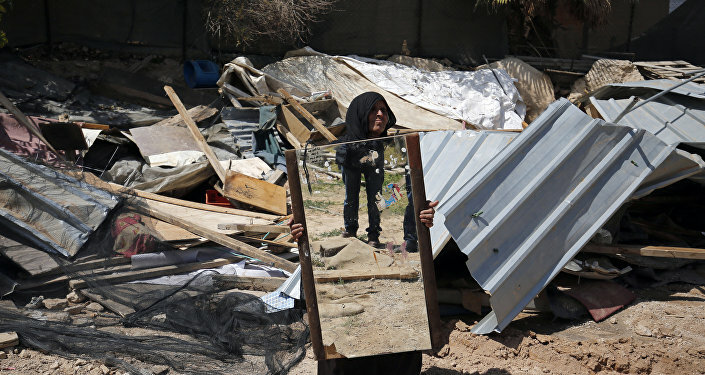 Preventing future Palestinian home construction was key to this, and they have already demolished eight homes with another 12 awaiting a similar fate, Wafa noted. Although United Nations Security Council Resolution 2334 states that Israeli settlements in the West Bank are illegal, the Knesset continues to approve new ones, Sputnik noted, with roughly 20 established in the Jordan Valley alone. Some 20 percent of the West Bank's Area C falls under the category of closed military zones or "firing zones," where the IDF train with live ammunition, forcing locals to leave their homes until the drills are over. The Israeli army uses this ability to further the cause of illegal settlement in the region, especially in the Jordan Valley and the west bank of the Dead Sea, not far from Beit Jala. In March 2015, Haaretz reported that IDF Firing Zone 912, east of the Jerusalem suburb of Ma'aleh Adumim, would be cancelled in order to facilitate an expansion of the settlement onto the land in question, which extends eastward to the Dead Sea and south to Umm Daraj, encompassing most of the West Bank adjacent to the Dead Sea. However, the army was continuing to demolish Palestinian homes there. Last December, Haaretz reported that the Israeli Civil Administration had surveyed state lands in firing zones near settlements, ahead of future settlement expansion. The Civil Administration said at the time, "Any attempt to present the data as if they contain a political, or other, motive to allocate them in the future for settlement is completely baseless."